Accessory Genie - Consumer Electronics and Accessories Industry News: Chicken or the Egg? Mouse or the Mouse Pad? Partners. Sidekicks. A "right hand man." The bond and love of each pair is something that can outlast the test of time. Partners don't always start out in perfect harmony but as they grow together, their connection and reliance on one another grows as well. Who would Batman be without Robin? Mario without Luigi? Bonnie without Clyde? A knife without a fork? Salt without Pepper? Chicken without the Egg? All are incomplete without the other by their side. In some cases there is a heavy debate on who or what came first. Did the fork come before the knife? Was the chicken before the egg? Age old conflicts between partners is nothing new. 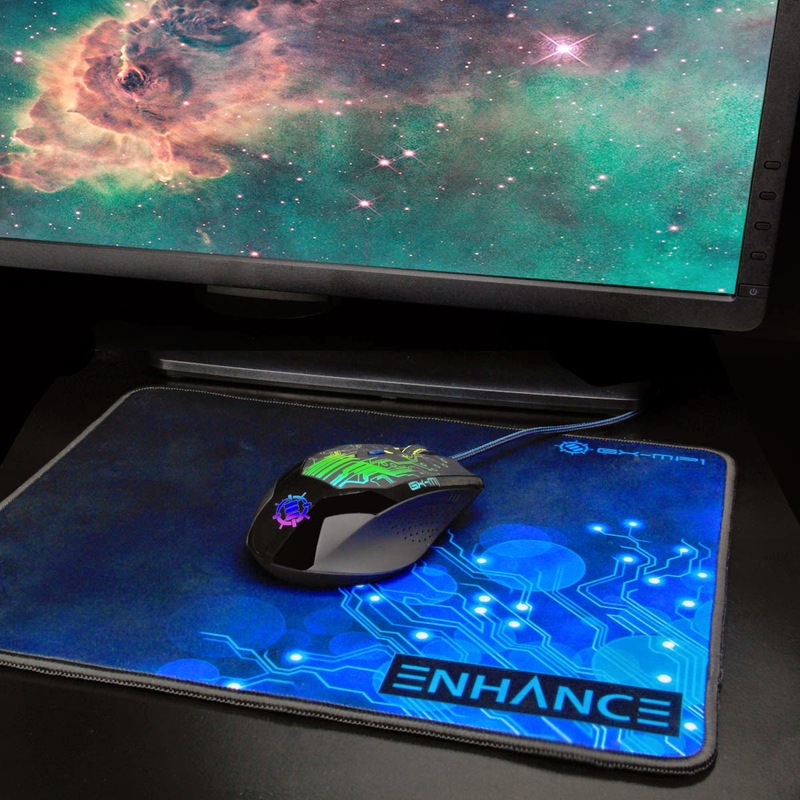 Take for example the ENHANCE Gaming Mouse and Gaming Mouse Pad. These two items have been fighting for the top spot for decades. The Gaming Mouse cannot function without the use of a Mouse Pad. On the other hand, the Mouse Pad is rendered useless without a Mouse to sit atop it. Fights like these can be devastating! Therefore, Accessory Genie has bundled the two together in an attempt to bury this fight once and for all. For a limited time, November 10th through 17th, use the coupon code 'GMXBUNDLE' and get both for the price of $24.99. How can you not take advantage of a bundle this good? The ENHANCE GX-M1 High Precision 6-Button Optical Gaming Mouse was built with the PC gamer in mind. Switch weapons, toss a fireball or order your squad without moving your cursor. Customize your game play with 5 easy-to-reach buttons designed for your macros and hotkeys, or switch DPI settings in seconds. Not only is the functionality out of this world, this mouse is comfortable for both LAN parties and extended gaming sessions. Ergonomically scooped sides with a soft rubberized grip ensure maximum comfort, while the rugged braided cable provides the range you need to slide across screens with ease. Looking to add a little flashiness to your gaming setup? The GX-M1 sports three color-blending LEDs that shift through a kaleidoscope of 7 different hues. 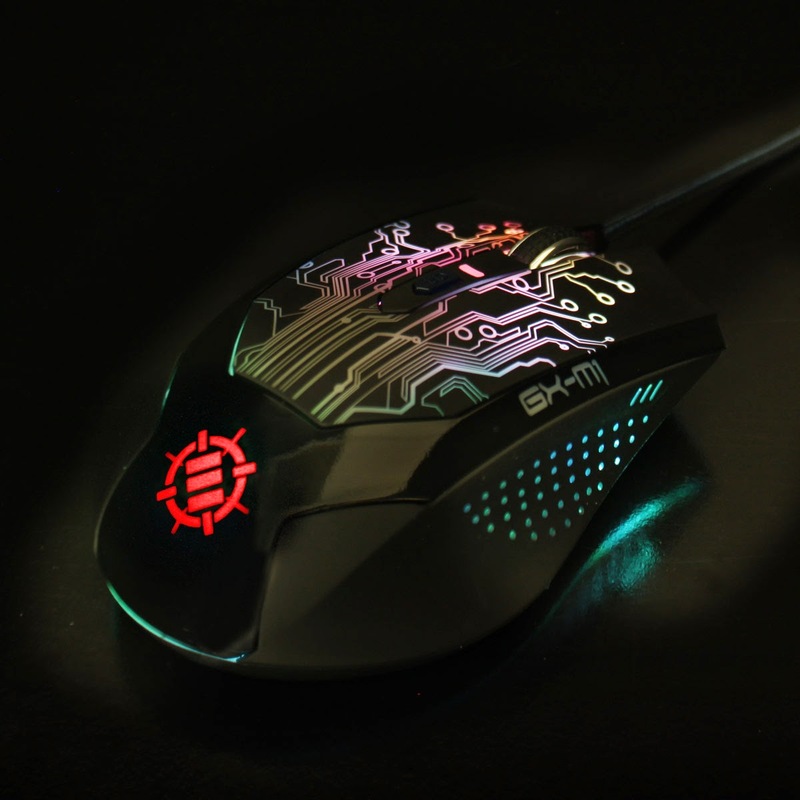 The ENHANCE GX-M1 Gaming Mouse is the ultimate gamers tool. Like all great leading men or women, there is someone in the back doing all the dirty work and taking very little, if any, credit at all. Insert the ENHANCE GX-MP1 Blue XL Gaming Mouse Pad. The GX-MP1 boasts numerous perks to enhance your gaming experience. Constructed from durable materials and perimeter stitching to prevent fraying, the mouse pad stands tall against the competition. The mouse pad features a huge surface for those who enjoy a little extra real estate in their mouse pads. Without this bad boy, the GX-M1 Gaming Mouse may not have experienced the continued success and popularity it continues to boast today.